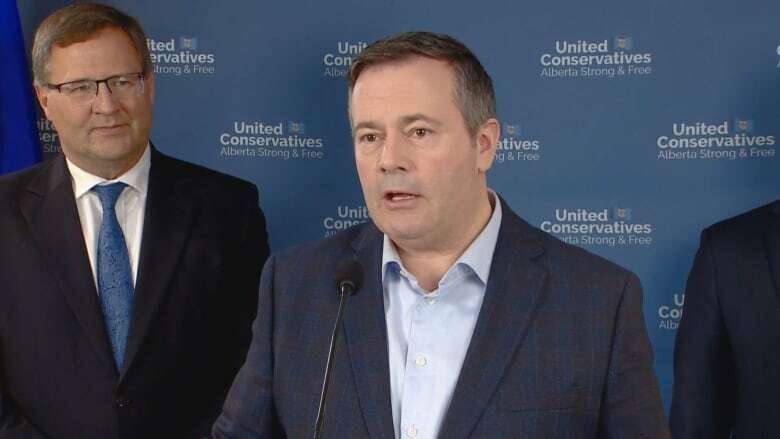 A United Conservative Party government would cancel the NDP’s new $590-million “superlab” planned for Edmonton and northern Alberta, Jason Kenney said Monday. A United Conservative Party government would cancel the NDP's new $590-million "superlab" planned for Edmonton and northern Alberta, party leader Jason Kenney said Monday. "The NDP has put bureaucratic empires and their ideology ahead of patient care and value for tax dollars," Kenney told reporters at a news conference in Edmonton. "Our priority is patients and their timely care," Kenney said. "The NDP priority is a government monopoly in everything including back-end lab services, which are already being done effectively by Albertans through an Alberta private company using ... primarily a downtown office building." The government plan to integrate lab services into a central facility run by Alberta Health Services was announced by Health Minister Sarah Hoffman in 2016. A new structure to house the lab is planned for the south campus of the University of Alberta. Construction was expected to begin in 2019, and the building is expected to open in 2022. Under that plan, AHS would pay current private provider Dynalife $50 million at the end of its current contract on March 31, 2022. Kenney said a UCP government would reverse the integration plan and that payout. The NDP plan to build a new facility, he said, would create a "huge hole" in downtown Edmonton, in terms of both office space and employment. He estimated that 1,000 employees would be pulled out of downtown. The $640 million that the NDP plans to spend on the superlab and the payout to DynaLife is almost as much as the government budgeted for a new hospital in south Edmonton, Kenney said. "Why is the NDP choosing to spend the equivalent of a new hospital on a building that will not actually touch patients or heal people? That will not reduce wait times by one inch? They are just ideologically hostile to the idea of the private sector delivering services more efficiently on behalf of the government." He accused the NDP of trying to shift workers from the private sector to what he called "the state sector" for purely political reasons. The money saved by reversing the NDP plan would be better spent on patient care or to build new hospitals, Kenney said. Kenney's announcement was criticized by the Health Sciences Association of Alberta, a union that represents thousands of health-care workers. HSAA president Mike Parker said Kenney's plan displayed his "appalling ignorance" of how health care works and proves his party is out of touch with the current shortcomings of the Dynalife lab in downtown Edmonton. "We're proud of the work our members do there, but they will tell you that facility is stretched to breaking point," Parker said in a news release. "Whether you choose private or for-profit, a new lab will have to be built and Albertans will have to pay for it. To suggest otherwise is deliberately misleading." Alberta Health Minister Sarah Hoffman said Kenney's plan to cancel the superlab was purely political. "We've taken the best information to make sure that we're not treating health-care workers and the services they provide like political footballs," said Hoffman. "And frankly, that's the other thing that Dynalife workers said is that they were looking forward to continuing stability, that they were frustrated that they felt like they'd been a political football by the past government. It seems like Jason Kenney is continuing that today." Hoffman said she thinks cancelling the project would be short-sighted. Albertans are expected to go to the polls before May 31.